Project Facade & The Gillies Archives. 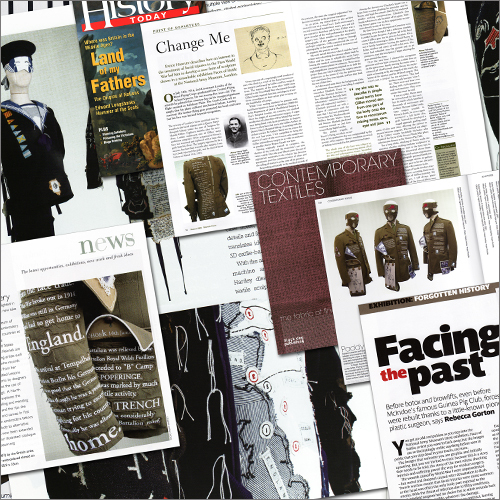 The Wellcome Trust funded Project Facade is widely considered a landmark science/art collaborative project interpreting and combining elements of surgical, social and military history with a contemporary art making process. 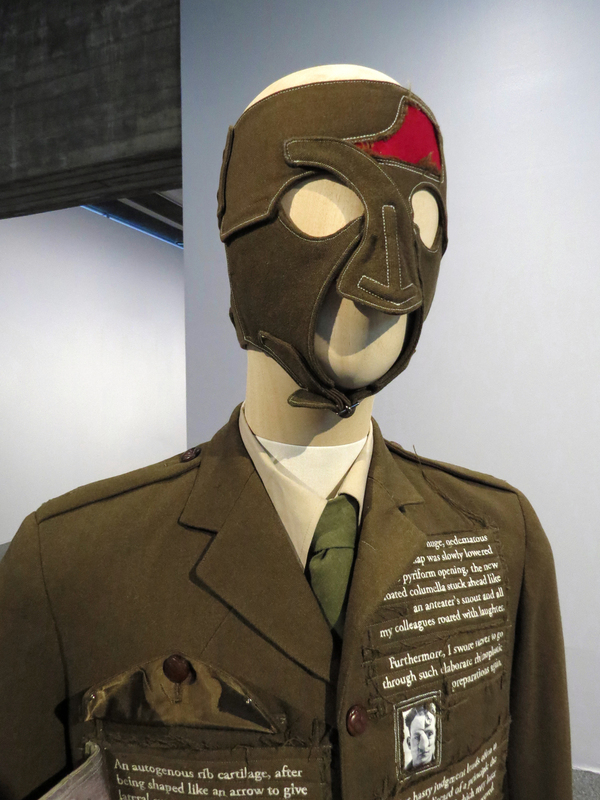 Hartley’s motivation is to bring the untold histories of WW1 servicemen treated for horrific facial injuries to a broad national and international audience. The National Army Museum London. 04/17 - 05/17. Edits 01 Paddy Hartley. The Lowry, Salford. 06/16 ongoing. ReThink Gallery, National Maritime Museum, Greenwich, London. 09/15 - 11/15 ‘Womens Work’ - Masculinity and Gender in Contemporary Fibre Art, San Diego Art Institute, USA. Project Facade evolved from Hartley’s collaboration with Dr Ian Thompson, King’s College London in the design of Bioglass facial implants whilst based at the Department of Maxillofacial Surgery, Guy’s Hospital, London. As a consequence of documenting a series of surgical procedures at the hospital, Hartley began investigating the origins of facial reconstructive surgery. His research led him to The Gillies Archives at Queen Mary’s Hospital Sidcup and a meeting with Curator and Consultant rheumatologist Dr Andrew Bamji who subsequently became a long standing collaborative partner. The archives are home to over 2500 medical records made by pioneering facial surgeon Sir Harold Gillies of the Commonwealth servicemen he and his surgical team treated for horrific facial injuries sustained in battle. As well as being a surgical pioneer, Gillies was at the forefront of a collaborative approach in healthcare. In addition to calling on the skills of artists, photographers and sculptors in the documentation and pre-operative planning for surgeries, he brought together specialists in bone graft and skin grafting, dental surgeons and technicians. Not to mention pioneering many facial reconstructive techniques. Gillies and his team treated over 5000 servicemen and it is considered that he advanced the discipline of plastic surgery by 50 years thanks to the developments made in the treatment of so many patients in such a short period of time. In 2004, the collaborative team of Paddy Hartley, Dr Andrew Bamji and Dr Ian Thompson were awarded a Wellcome Trust SciArt Production Award to enable Hartley to research and interpret the untold stories held at the Gillies Archives. His goal was to make interactive work which would translate the medical records of a selection of Gillies patients, and to conduct research into their pre and postoperative lives. While the medical records comprehensively describe the multiple surgeries the servicemen underwent, very little is known about the servicemen themselves and how they went on to live the rest of their lives after receiving such horrific injuries and groundbreaking surgery. 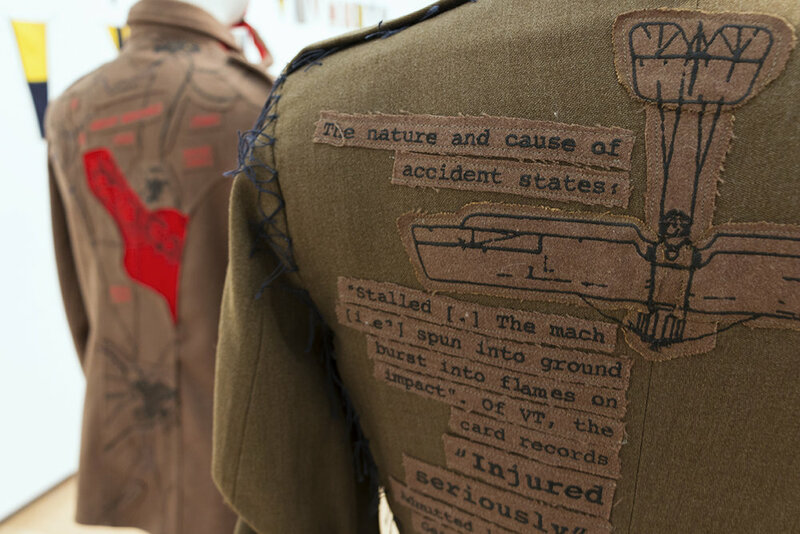 Vintage uniforms similar to those worn by the men when sustaining their injuries were treated as a canvas on which to tell individual stories. Embroidery became a means of combining and communicating archival material with newly discovered information about the men and how they dealt with their life changing injuries and surgeries. 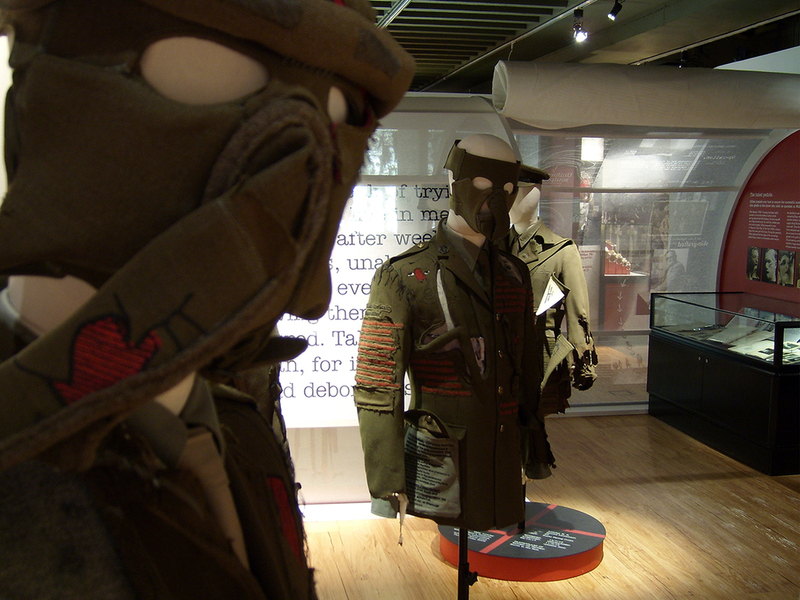 The fabric and stitch of the uniforms related directly to the skin, tissue and stitch with which Gillies worked. Hartley was able to trace a number of descendants of the men whose stories he aimed to interpret. Their generous contributions of memories were a valuable addition to research conducted at the National Archives, Kew as to the pre and post war lives of the men, some of which were heart-warming and life affirming, others were brutally tragic. 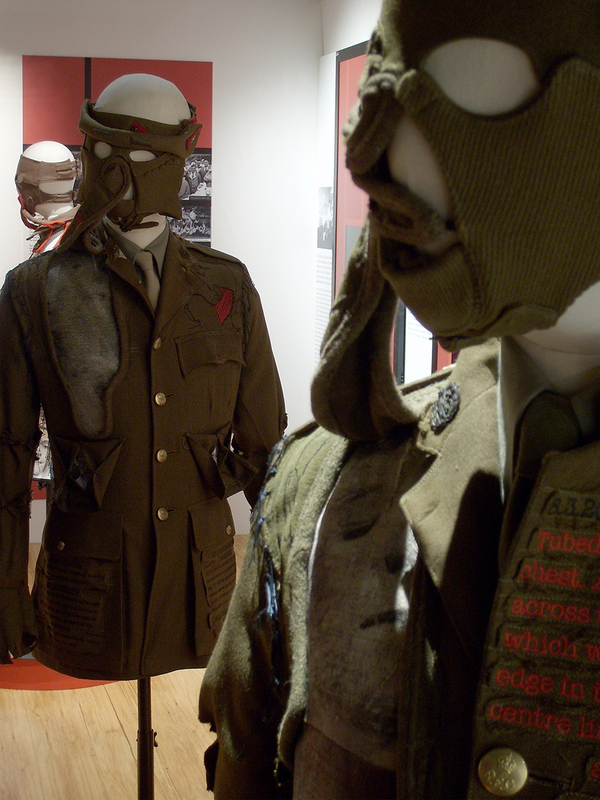 Hartley’s uniform sculptures were first exhibited in their entirety in the exhibition ‘Faces of Battle’ at the National Army Museum London. 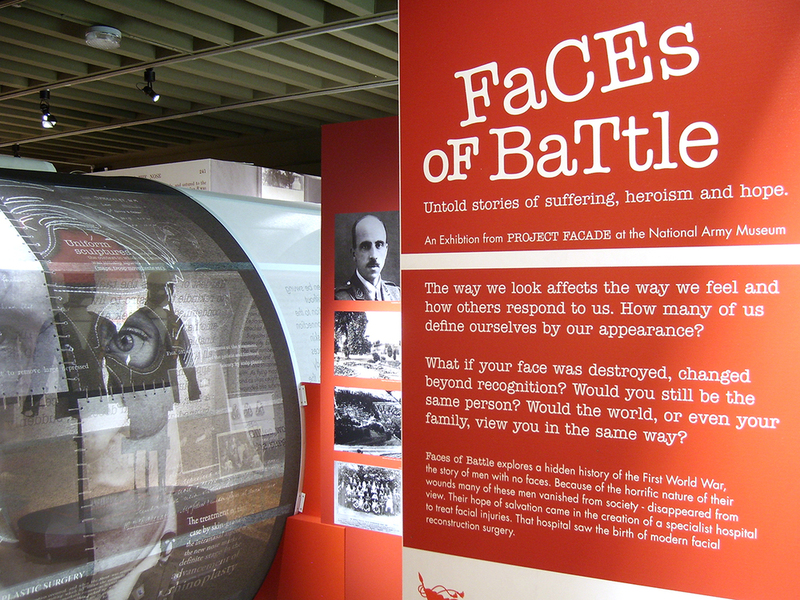 The NAM exhibition team worked closely with Hartley to realise his vision for Faces of Battle; an exhibition that would tell the story of the foundation of the plastic surgery unit at Sidcup in 1916 alongside the 16 uniform sculptures Hartley created during the course of the project. 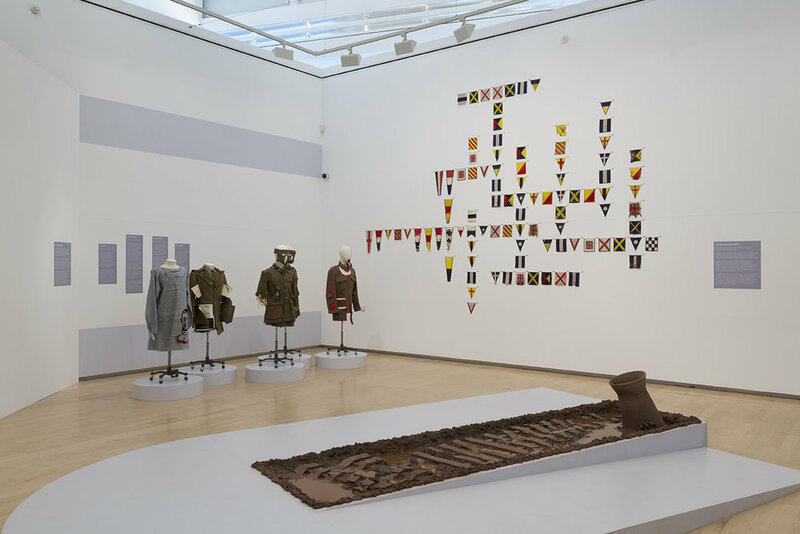 Hartley’s uniform sculptures have since been published widely exhibited in Norway, UK, USA, Australia and Germany and continue to feature in contemporary art publications. 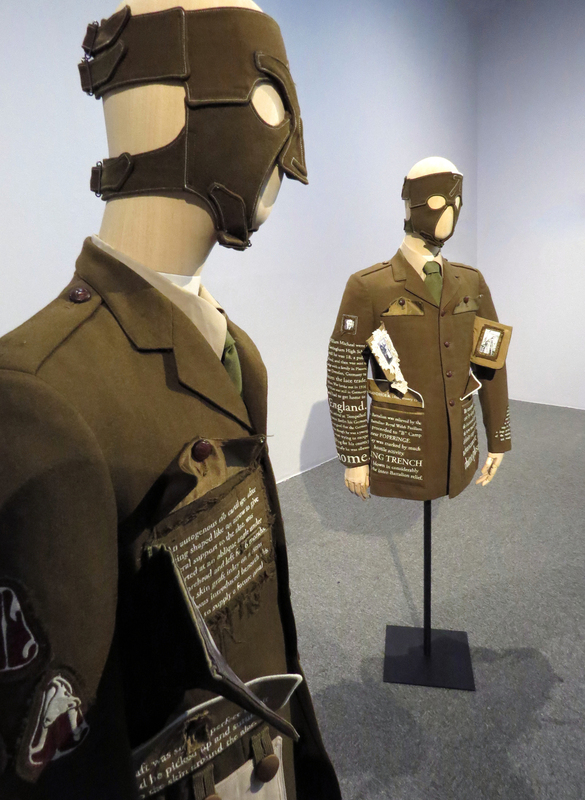 Uniform sculptures from the project are currently held in the permanent collections of The Museum of Art & Design New York, The Wellcome Collection London, The Museum of Art Design & Architecture Oslo and The National Army Museum London. 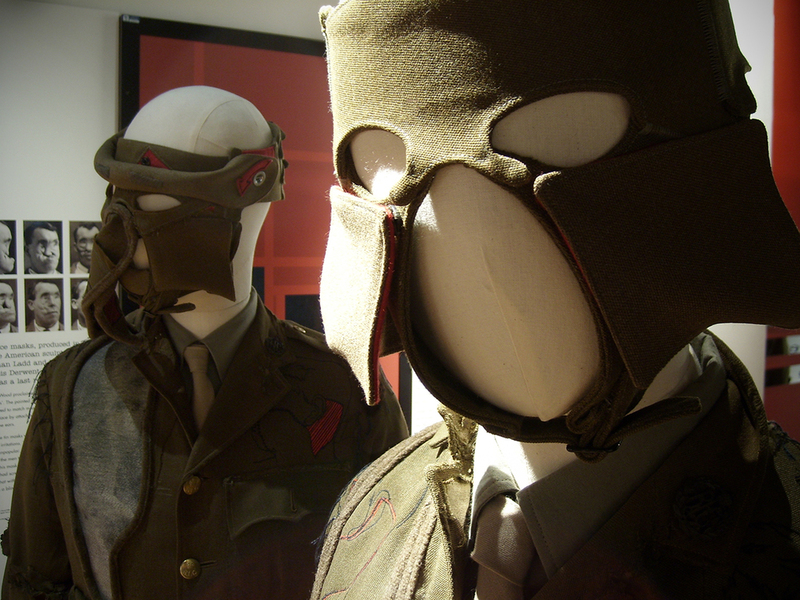 Faces of Battle, National Army Museum, London.